Le Chalet Phase II, an Individual House incorporated by Baashyaam Constructions pvt ltd located in Poonamallee. It is developed with essential facilities. We have developed each of our project in the midst of beautiful surroundings for a peaceful living. Baashyaam Constructions pvt ltd offers 2 BHK and 3BHK Independent House in Poonamallee, available at affordable price point. It is a luxurious villa with all the facilities. Havisha Homes is an Individual House from Manju Foundations is located in Poonamallee,Chennai, India. Our villas is developed to be convenient, comfortable and valued for our customers at an cost effective rates to experience a smile on their face.Manju Foundations offers 2 bhk Individual house in Poonamallee,Chennai developed with high quality fittings and sophisticated accessories. 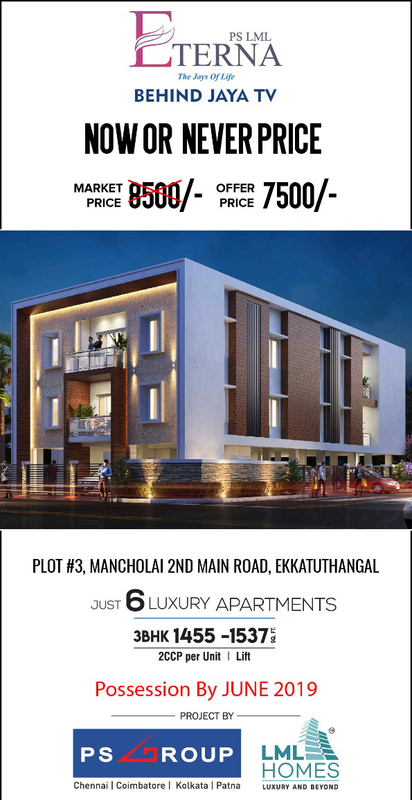 Manju Foundations offers 3 bhk independent house available for sale in Poonamallee,Chennai designed for the best look, sufficient ventilation, beautiful interiors, and world class amenities. 5 Years old Semi-Independent 3BHK Duplex Villa for Sale @ periyapanicheri near Gerugambakkam. Amenities: North Facing, 20ft Road Front Gate, Covered Two Car Parking, UDS - 600 S.FT, Built Up - 1330 S.FT, Private Terrace, Marble Flooring, 3BHK With Attached Bathrooms (2 Western & 1 Indian), 1 Balcony, 24 Hours Security, Separate Motor & Water Tank, Bore Water, Metro Water, Modular Kitchen with Fast Dinning, Wood Works on all Lofts, Triple Door Cupboard, A/C Provision in all 3 Bedrooms, TV Unit, Inverter connection in full buliding. Facilities: ATM -Within ½ KM, 24 Hours Specialty Hospital -Within 1 KM, Schools(Amrita Vidyalam1KM) (Sri Krish International - 2 KM) (PSBB - 1 KM), Super Market (Reliance, Nilgris) - 1 KM, Petrol Bunk - 0.5 KM, 500 Meters walk from Main Road & Bus stop. This is house is located water tank opposite, moondram kattalai, lakshmi nagar exten, babu garden, kovur. 200 mtrs to main road, land : 1200 sqft. Building : 3600 sqft. Facing west view, contents : 5 bhk, 6 bath room, this house built one year before, floors : gf, ist, iind floors, servant room with open terrace in third floor. Full tiles floor, (at first floor (only) : 1 modular kitchen, loft close, self at bed room, pooja self, award showcase, glass showcase in hall), clear title property, 3 phase eb, three type water (bore), all doors in the building are teakwood, full house covered by grill doors, vasthu based, income capacity : 25,000 rs per month. 2 covered car parking. Approved layout, building. Bank loan facility available. 3 kms from porur junction. 1km to kundrathur. Direct connect to pallavaram, vandalur zoo (15 kms). Plot No. 9 & 10, Rajiv Nagar, Muthapudupet, IAF Avadi, Chennai - 600 055. - 300 metres from IAF Road, Avadi Single & First Owner. First sale. vaastu Complaint. Clear Title Deed with approved Patta. Two sides road access to plot - 20' Road on North & South side of property. Eco-friendly property. 3 phase electricity supply. Clean & potable underground water source - with 1.5 HP pump housed in separate shelter. Single terrace with 1000 litres PVC water tank. 2 sceptic tanks (conventional type). Main Entrance facing west. 2 entrances / exits to house facing North & East. Main gate facing South. 2 bed rooms. 1 study room. 1 pooja room. Large living room. Bathroom access from living room only. External bathroom & toilet in the garden. Access to terrace adjacent to North entrance. 2 porticos over west & north entrance. 3 access gates to plot - leading to 20' feet roads. Spacious open parking for 2 large / 3 small vehicles. Large garden with fruit bearing trees - Mango, Coconut, Sapota (Chikoo), Guava & Custard Apple and flowering plants. 900 Metres from Muthapudupet Bus Stop. 1 km from Suburban Railway Station. 2 km from IAF camp Main Gate. 400 Metres from Outer Ring Road Entry / Exit point (Vandalur - Minjur Highway) No Agents or Middlemen permitted. Only genuine buyers may contact. Nellai Krishna presents Dhanaya Villa , an individual house available for sale is located in Avadi, Chennai. Amenities in the Independent house includes Vitrified tiles in drawing and bedroom, anti skid tiles in bathrooms and Balconies. Nellai Krishna offers 2 bhk individual house available for sale in Avadi developed with sustainable quality industry standards. UIDC Independent Villas is an Individual House developed by UIDC - Universal Infrastructure Development Company is located in Thiruverkadu,Chennai, India is the state-of-the-art infrastructural Villa. 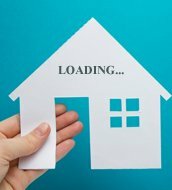 We develop each of our home after the detailed examination of the materials we make use for building construction so that we deliver 100% quality results.UIDC - Universal Infrastructure Development Company offers 3 BHK independent House in Thiruverkadu for sale surrounded by major IT hubs, Educational Institutions, Parks, Malls and more.